This colourful four-week patching calendar has windows to open that reveal a picture and positive message. 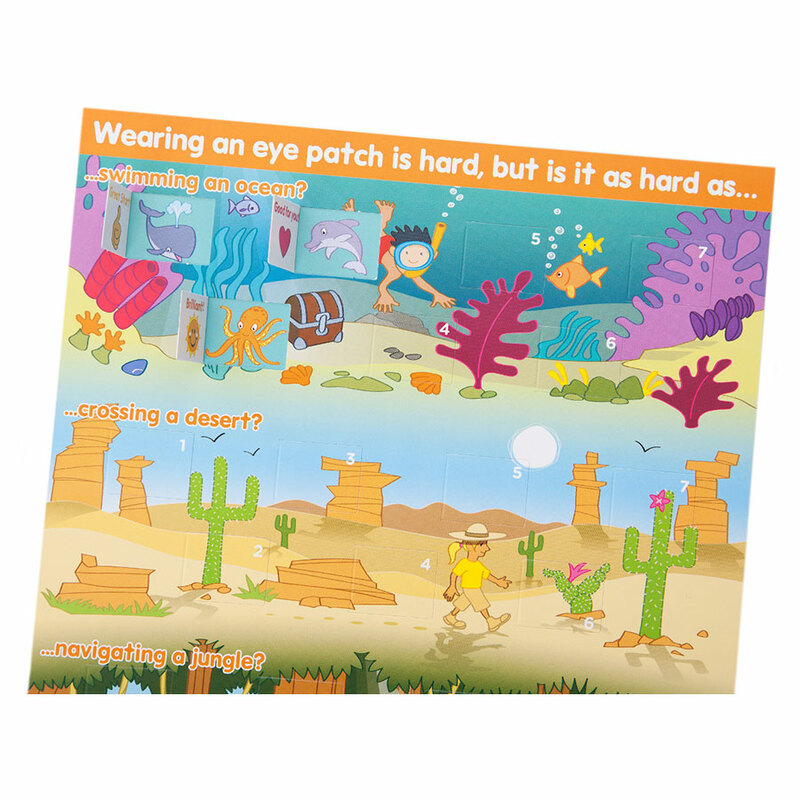 It also includes a sticker pack with motivating images to reward children during the patching period. 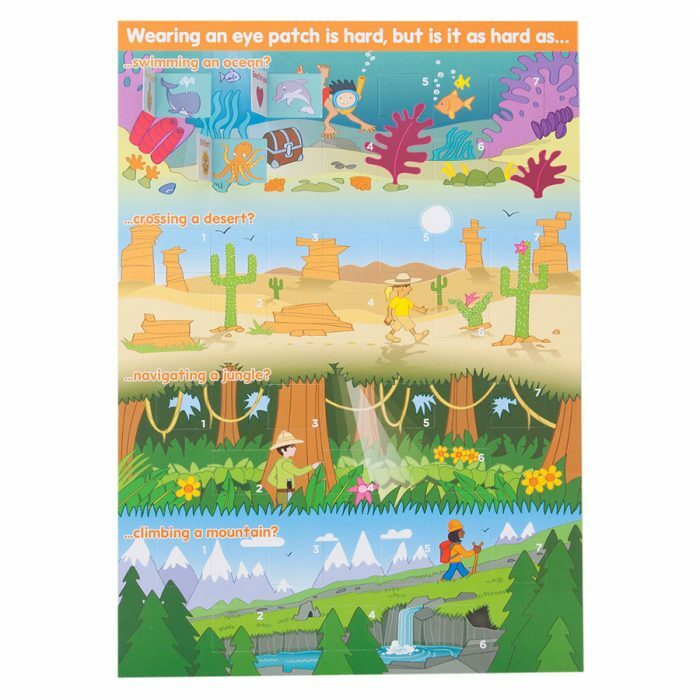 The calendar encourages patching by association with adventurous, difficult tasks, like climbing a mountain, crossing a desert, navigating a jungle and swimming an ocean.